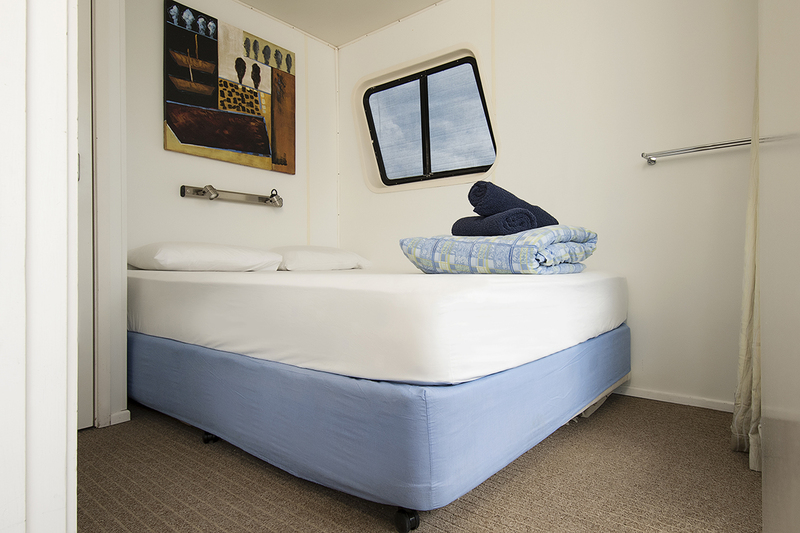 Stylish with all comforts provided for. 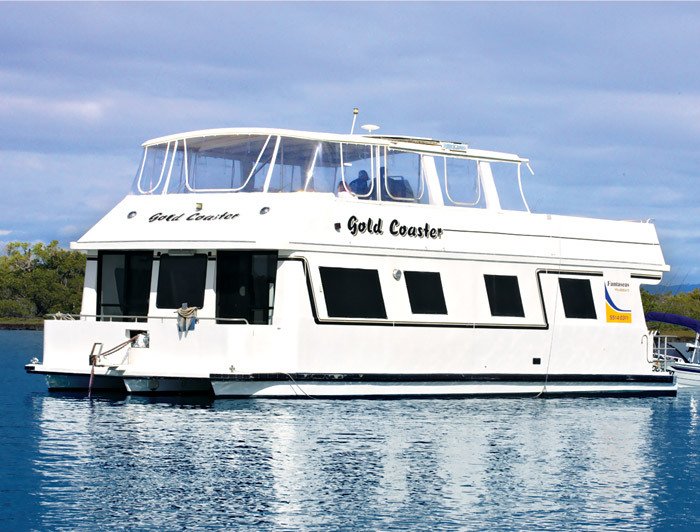 The Gold Coaster is large and spacious with plenty of room for your holiday enjoyment. 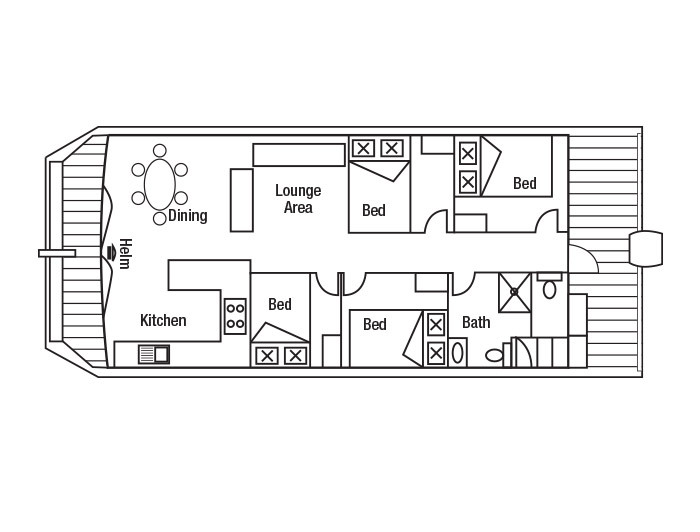 The Gold Coaster boasts 3 Double bedrooms and then a Master Queen bedroom. 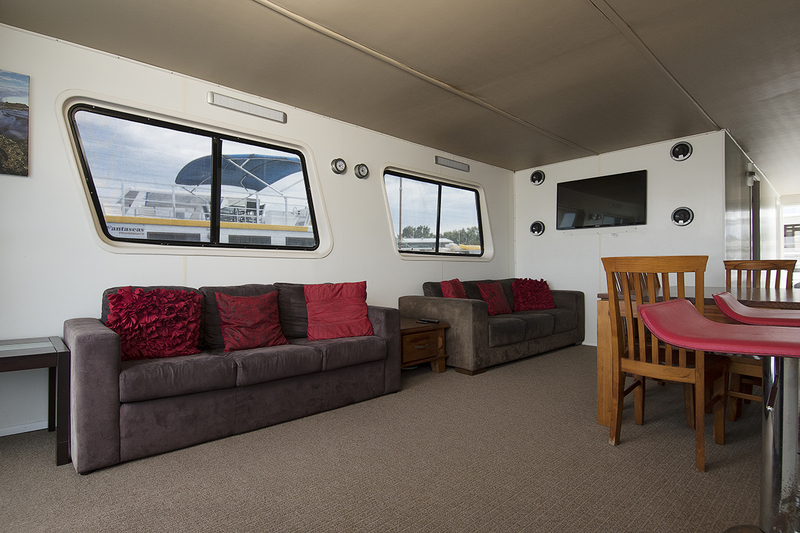 A comfortable lounge area with a digital 81cm LCD flat screen/DVD player. Modern bathroom with two toilets (one located on the back deck). 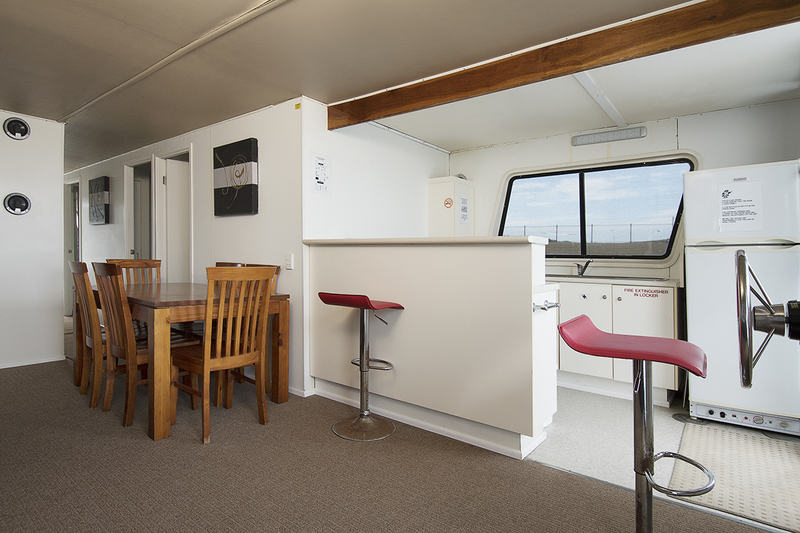 The large upper deck has been furnished with outdoor living in mind, a large Weber BBQ to cook up a feast, partially enclosed area with clears and sun lounges. 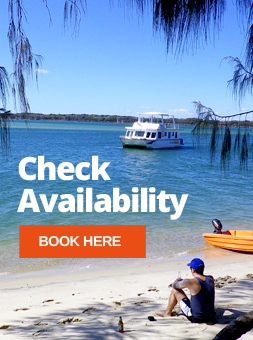 This vessel would be perfect for 4 couples or larger families. 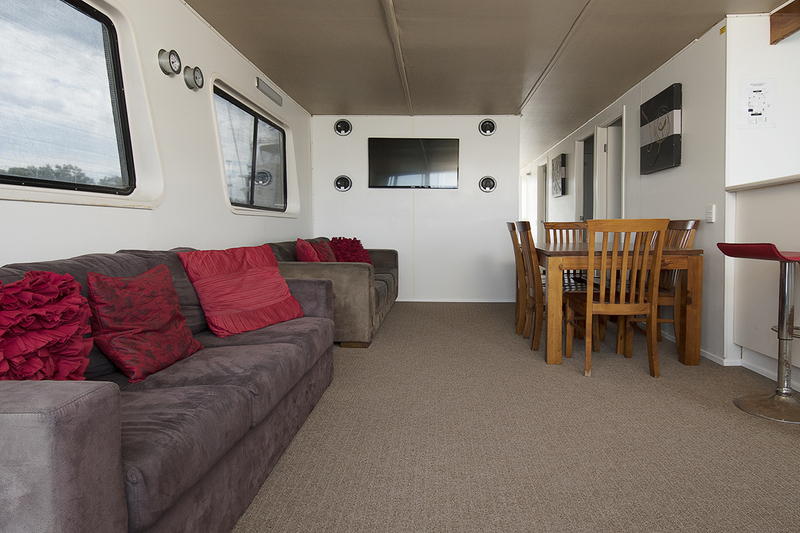 Why not spoil yourself on your next houseboat holiday.